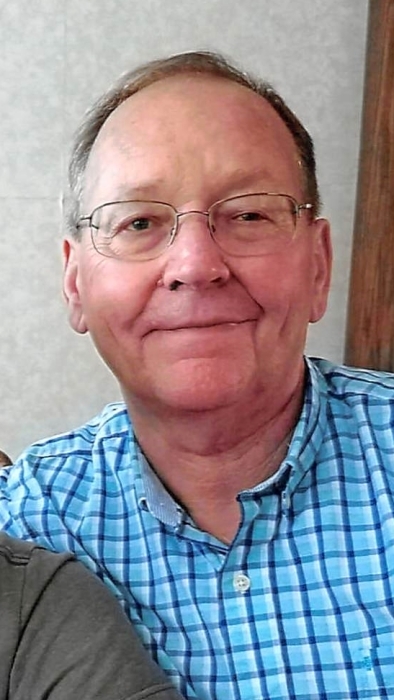 Michael G. Anderson, 71, of Little York, IL passed away at 3:42 pm, Tuesday, August 14, 2018 at OSF Holy Family Medical Center, Monmouth. He was born September 10, 1946 in Monmouth, IL, the son of Gerald E. and Audrey J. (Phipps) Anderson. He was raised and educated in Seaton and Aledo, graduating from Aledo High School in 1964. Mike married Joan K. Bigham in Seaton, IL on February 8, 1964 and she survives. Mike was a farmer near Seaton and Little York for 25 years before becoming a truck driver. He drove an oil truck for 30 years, mainly for Reif Oil Company, before retiring in 2015. Survivors include his wife; 4 daughters, Lori Anderson-Callihan of Monmouth, Nancy (Chad) Olson of Alexis, Becky (Derek Miller) McDonald of Knoxville and Mandy (Brian) Balser of Knoxville; 8 grandchildren, Elly Olson, Caleb Olson, Sam Olson, Noah Olson, Hailey Ray, Kylie McDonald, Tyler McDonald and Brynnley Balser; his mother, Audrey Anderson of Monmouth; 1 brother, Randy (Dorothy Stevenson) Anderson of Seaton; nieces and nephews. He was preceded in death by his father and 1 daughter, Debbie Anderson. Funeral services will be 2:00 pm, Saturday, August 18, 2018 at the Little Cedar Church in Little York with Pastor David Dutton officiating. Interment will be at the Cedar Creek Cemetery, Little York. Visitation will be Friday, August 17, 2018 from 4:00-7:00 pm at McGuire & Davies Funeral Home and Crematory, Monmouth. Memorials may be given to the Michael G. Anderson Memorial Fund.